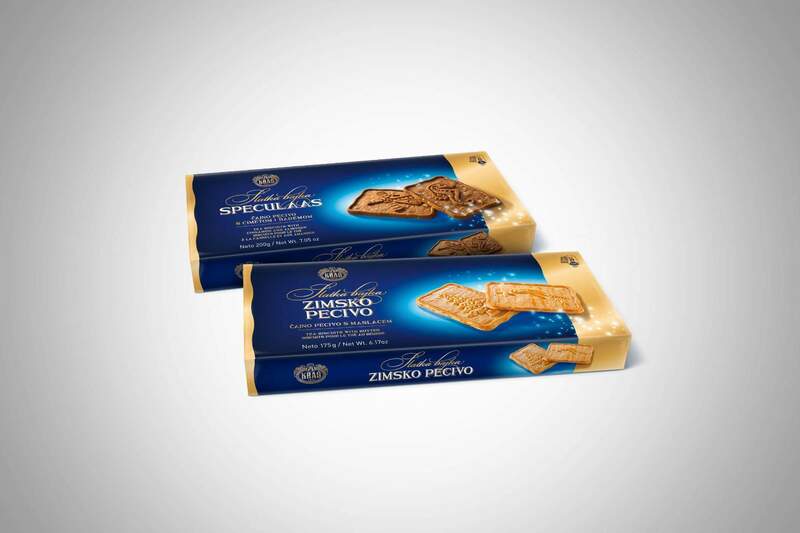 Coming up with a design for boxes of Kraš’s Christmas edition of cookies Speculaas and Zimsko pecivo (Winter muffin), that came to shops during holiday season. 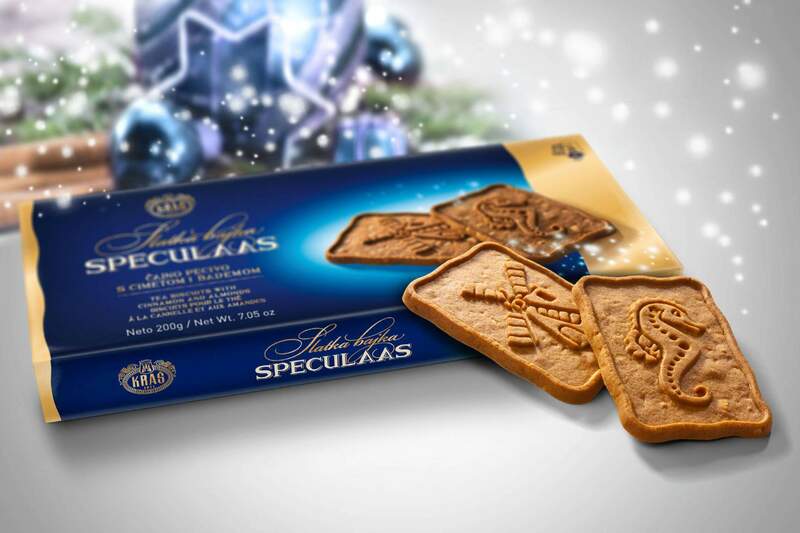 The intent was to invoke that magical feeling of Christmas and to introduce new cookie shapes. 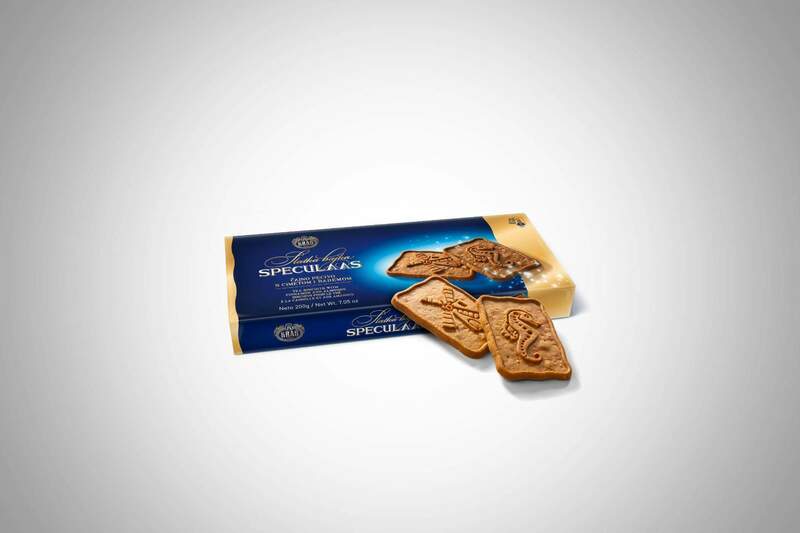 The box features the image of two cookies that convey the new, appealing look of well-known sweets. 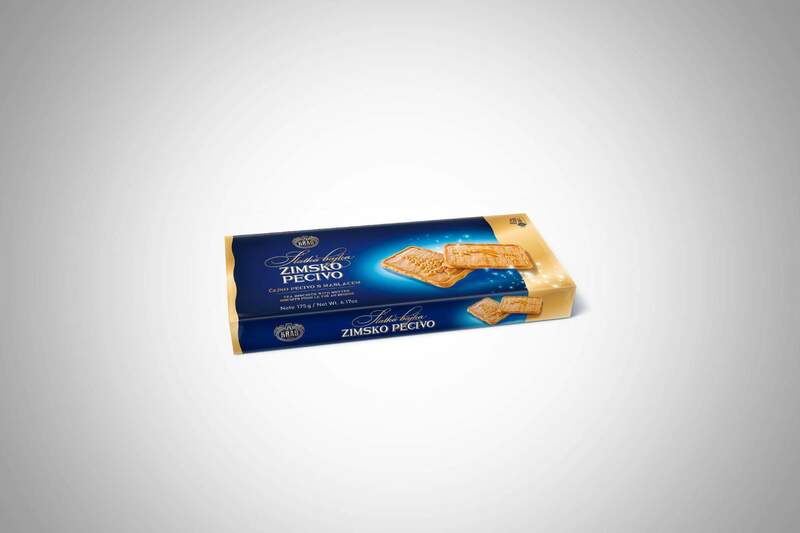 The packaging colour captures the winter holiday spirit; the dominantly blue background features shades of gold and white that recall the sparkling of tiny stars.